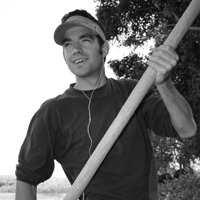 Michael was born and raised in Portland, Oregon, where he developed a love for outdoor recreation and sports that involve water. Through college as a scholarship swimmer and later as a swim coach a lust for all things water developed. The love affair with water continued after college, with kayaking as the new genre. After four hard years working in cubicle land Michael took his money and dedicated his life to spreading the good word of whitewater to the unsaved souls of the world. As part of his missionary work Michael has traveled, with a camera in one hand and a paddle in the other, to the western half of the US with the PBR tour, Alaska, Zambia, and the Grand Canyon of the Colorado. After cutting his teeth in the Corvallis boating scene Michael brings experience and an understanding of paddling technique to the classroom that facilitates both beginner and intermediated students. Michael is ACA Whitewater and Red Cross First Aid¥CPR certified.